Aum: Fwd: FW: Vivekananda was a thinker of thinkers. Now that is a schoolboy rhyme. But there is that 'something' about them. They do not let you go. They out-see you. His words do the same. They startle you, they out-think you. They do that by their sheer confidence. One might say, by their conceit. And, by their unexpectedness, their frankness, their contrariness. He once said that by his outspoken-ness he had 'emptied out whole halls.' Think of someone who draws people, like bees to a honeycomb and then does the opposite as well — smokes them away. But that is how Swami Vivekananda was. He spoke the language of the Vedas but not as others spoke them. He chose his own verses and breathing his own passion into them, gave them new, contemporary meanings. He then shared them, pristine with entranced listeners. Old truths sounded new when coming from Vivekananda. New truths acquired in his hands the ring of ancient sanction. He talked of India as did others of his generation, but not like they did. He spoke neither to valorise nor to ridicule his motherland. When he held the lamp of his mind to them, old characterisations of India acquired new meanings, and new dimensions of an ancient land emerged as if from nowhere. In 1863, the year he was born, the welts left by the Great Uprising were yet hot and hurting. So, this son of Kshatriya Bengal could have become a patriot of the extremist, warring kind. But no, he said. 'Nationalism of a purely agitational pattern cannot carry us far. In 1885, when he was twenty-two, the Indian National Congress was inaugurated with fanfare. So, nationalism of the public-speaking kind had also opened to young Naren for adoption. But Naren was not meant for patterns pre-laid for him. 'Without the necessary preparation what is the use of just shouting in Congress?' he asked. Vivekananda was on an inner journey. But that was not going to be an individual journey. India was too crowded with people and problems for him to be left alone. By his lights he had 'seen' Kali. Not once, but time and again. Vivekananda loved to sing. And he sang rapturously. There is the Bangla song, Kalipada Neel Kamale, Shyamapada Neel Kamale . Close your eyes listening to it, and you will imagine Vivekananda intoning it. Each one of his listeners thought he was speaking or singing for her, him. They thought he was speaking their minds. There they were not right. In 1890 he set out travelling to learn. His lore preceded him everywhere, defeating his attempts at masking his identity. Maharajas feted him, farmers hosted him. The Maharaja of Mysore expected to see a mendicant in the swami. He was not disappointed. But this mendicant was of a different kind. When the Maharaja asked him to choose from an array of gifts, the costlier the better, the Swami chose two — a tobacco pipe and a cigar. He was not patronising tobacco. He was puncturing sanctimony. He has let his hope outstrip his insight in one important matter. He said to Nivedita the era of obscurantism was over. It is anything but. Worse, it is now co-opting him. More people worship God-men in India today, more fear totems and observe taboos, are held captive by superstition and tied down to hollow ritual than ever were before. They should know that Vivekananda called ritual 'the kindergarten of religion'. The intersect of religion and politics is occupied by 'yatras' which invoke Vivekananda, the greatest of all yatris. Politicians heave him onto their raths . They thieve his truth to feed their untruths. They offer him for worship, and bask in his glory. They have figured that Vivekananda worshipped is Vivekananda forgotten, Vivekananda enshrined is Vivekananda enchained, Vivekananda co-opted is Vivekananda encashed. Sri Ramakrishna had said of him, 'He will teach…' That spiritual genius knew his disciple. His co-opters would prefer his cut-out images now to preach. They know their self-interest. Teaching is about imparting knowledge. Preaching is about increasing the size of the flock. Vivekananda, the world-renouncer was also a world-inhabiter. In America, after a talk on God, throngs of women jumped barricades to get near him. Watching the spectacle a lady said 'Well, my lad, if you can resist that onslaught you are indeed God'. Vivekananda was not God, thank God. He was human. And he was fallible. His statements on who is a Brahmin and what Brahminism means, are not among his liberating utterances. His observations on caste are hugely problematic. Some of his views on womankind are, today, unacceptable. His comments on slaves and slavery in America invite long editorial scissors. 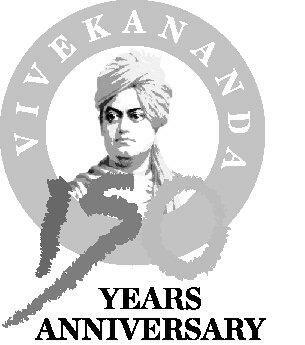 Between Vivekananda co-opters and Vivekananda nay-sayers is Indian society which has made an icon of him. Sri Ramakrishna, Srima Sarada and Swami Vivekananda make a lovely trio. All three – the Hindu Right, the Left and the public at large – are depriving themselves. They are denying themselves a golden opportunity to delve into the mind of a great mystic, an equally great thinker. I believe if Vivekananda had lived longer he would have seen how times are a'changing and given us trajectories, ancient and new, to travel on. I also believe he would have let Time influence his own thinking and alter some of his intellectual positions. He who questioned Sri Ramakrishna, his guru, would have had to take some hard questioning himself. But all that was not to be. Vivekananda was a mystic of mystics. His spiritual intelligence makes him an Indian sage, not a mascot. Vivekananda was a thinker of thinkers. His lively engagement with India's problems makes him a social philosopher. He must not be reduced to a preacher in ochre. Our intellectually anaesthetised, politically conditioned and philosophically unadventurous times need his gaze and those eyes to startle us into life again.